Tried the County Hall Arms near Westminster Bridge (not listed on here). But gave up after 5 minutes waiting, when the useless bar staff decided to serve the women who had just walked in instead. 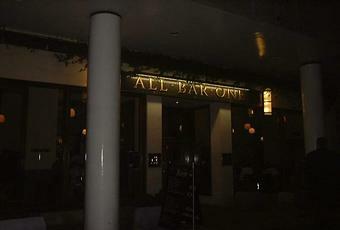 We headed to All Bar One instead, where at least service was better. There are no decent ales on here. The keg selection was Peroni, Aspalls, Guinness, Amstel, Grolsch Blond, Estrella Damm, Pilsner Urquell, Meantime Pilsner & Sierra Nevada. Once you've been in one All Bar One, you've probably been in them all. But they serve a purpose. Was it a carpentry nail, or a toe or finger nail? AVOID THIS RESTAURANT - TERRIBLE SERVICE - FOUND A NAIL IN MY FOOD! The management and wait staff was unhelpful, and the corporate office reflected terrible services as well. I was informed I would be contacted by the General Manager based on issuing a formal complaint on the incident...but four months later...and no response! AVOID THIS RESTAURANT UNLESS YOU LIKE FOREIGN OBJECTS IN YOUR FOOD! Served instantly in the Slug and Lettuce next door.